At Henwood Court Financial Planning Limited ( Aldridge) we are dedicated and passionate about providing quality independent financial advice. 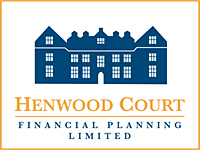 Why should you consider engaging Henwood Court as your personal financial planner ? Finding the right financial professional can have a profound impact on your future quality of life ! We are completely client focused. Our first priority is a happy, contented and satisfied customer. Providing immediate help to a particular financial matter is only part of our package. The real value comes from our ongoing support, from our offices in Aldridge. Get serious about your finances by emailing your enquiry to us for prompt personal attention with a FREE initial financial consultation, when you mention " Aldridge Website"